The apparel industry of Sri Lanka which contributes 7% of GDP (Gross Domestic Product) and 53% of export earnings is going to expand its territory to South Asian Countries such as India and China and to South America. 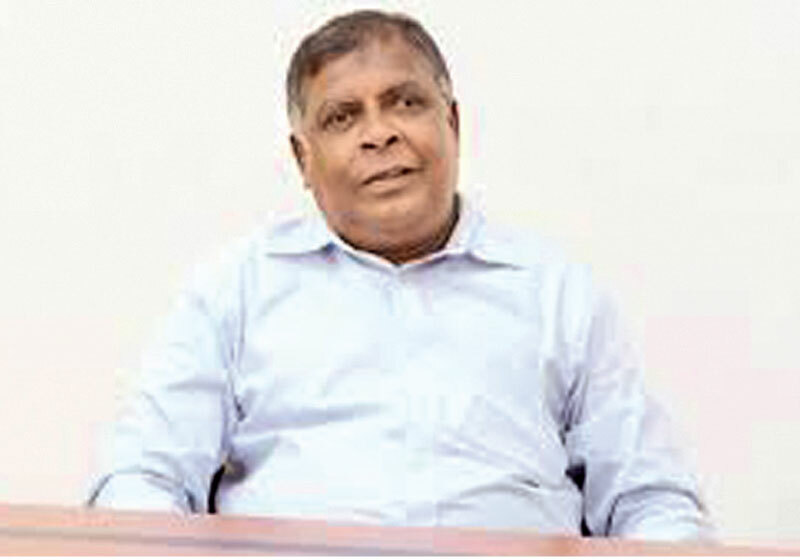 In an interview with the Daily News- Finance, Secretary General, the Joint Apparel Association Forum (JAAF), Tuli Cooray said that 12% of the country’s apparel exports go to other continents. “We are targeting the world as a market,” he said. The penetration of our nation to the market is determined on the tariff and country of origin rules. Earlier the bilateral agreement was the exception to the rule but now the World Trade Organization (WTO) regulations has become the exception while the bilateral agreement has become the rule. Last year the apparel exports grew by 5%, thus an annual compound growth rate of more than 6% is expected to be achieved this year. “In general, we don’t have annual targets. What we are expecting for and working to fulfill is to earn USD eight billion from apparel exports by 2025,” he said. Universally, there are two specific issues that every apparel industry is bound for, the tariff payable by an importer when goods are procured from another country. This is the biggest challenge faced by both retailers and wholesalers. The next issue is the country of origin rules. A standard rule of apparel industry is the double transformation principle which means converting fiber into yarn, yarn into fabric and fabric into garments. “Fiber conversion to yarn is not at all requested but minimum yarn forward rules need to be applied,” he added. However, double transformation is a theory that helps countries where the vertical integration is very high. Countries such as India, Indonesia and Thailand fall into this. From a Sri Lankan perspective, a specific recognition is not given for the apparel exports, he said. “The apparel sector also has a SME (Small and medium-sized enterprises) sector which needs to be looked after,” he said. The main challenges faced by this industry are the dynamics of the labour market, No helping hand is given for the industry and the present level of trade reforms agenda. Currently the apparel industry has a 15% labour force. However the problem is that large players attract while the small players don’t. Thus the scarcity of labour mainly affects the small companies. “The society doesn’t recognize the contribution made by this sector for the growth of the country’s economy,” Cooray further said. Currently, more people, specially younger generation tends to get into other fields of work apart from this industry. Hence we have been conducting programs such as “Matai Mage Ratatai” to raise the awareness about the importance of this industry, benefits and opportunities that it brings to an individual. This also enables to change the attitude and mind set prevailing among the people with regard to this industry. Also it is important to create a knowledge based industry. Thus more people specially entrepreneurs will tend to contribute for this. However this demands investment in technology, people and ideas. “There is a need to change the way of doing businesses in order to attract more buyers and workforce,” he said. The apparel industry of the country has not still gain a stable environment. However this year’s budget has brought some reliefs. It has allowed enhanced capital for expanding a company unlike last year which had only allowed enhanced capital for new companies. The government is trying to address many issues such as improve availability of credit, availability of skill and improve availability of finances. However these efforts won’t give out immediate results but would support to achieve long term benefits. The present level of trade reform agenda will not affect the export Industry but the domestic market. The industry needs to be controlled and maintained on a systematic basis. “The government has shown a positive signal with regard to this, “ he said. He further said that the actions they are currently taking will not be sufficient to sustain the business because there are many serious concerns in this industry that needs to be looked into. Thus it should be organised so as to enable buying continuously or promote concepts such as rentals. Speed is a crucial factor when it comes to this industry. Before 2005, this industry was was not liberalised by a thing called quota which means that the buyers did not had the freedom to decide independently from where to buy or what to buy. Hence there was no competition among countries for the apparels. “After 2005, this system was liberalized and as a result the countries which were not in the competition earlier went into the business and in fact has surpassed us, “ he added. Thus, we must understand our uniqueness. Been a country where this industry faces difficulties such as unavailability of fabric and scarcity of labour, we have to differentiate ourselves through quality and value added services. So far negotiations have been made with the government to minimise transactions with the state agencies mainly when doing with the apparel exports. Further requests have been made to make all documentation processes to be done on online basis and thus reduce human intervention in both import and export activities. Requests are also made to recognize digital signatures and online transactions. Negotiations are also been made with the Sri Lanka Customs to automate the verification processes so as to clear the goods quickly. Thus through these methods the speed is ensured and at the same time it is ensured that the goods are delivered to the right party at the right time.